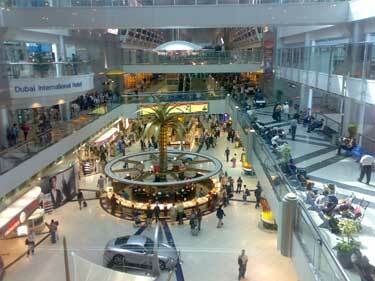 I spent the six hours walking around the airport and Dubai's famous duty free shops. The general construction and facilities at the airport were awe-inspiring to me, since I am used to Islamabad's old single runway airport. I wish the city administration can speed up the work on the new airport for Islamabad and get it completed as soon as possible. I also had a complimentary meal from the Safar restaurant at the airport since our delay between flights was over four hours. The first thing I noticed about the duty free shops at Dubai airport was that they are a woman's paradise. There is a huge variety of electronics, sweets (chocolates), cosmetics, books and tons of other things. Since I knew that I would be returning via Dubai two weeks later, I did not buy anything. Instead, I looked around at stuff to see what I could possibly get when going back. 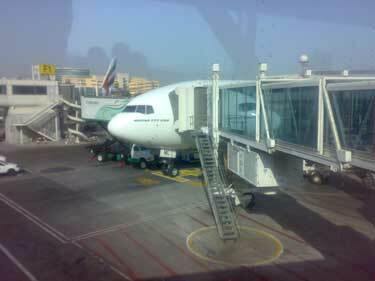 We left for Manchester on a Boeing 777-300ER, thankfully at the scheduled time.The flight was fine though tiring. While the aircraft was landing at the airport, I saw a Concorde parked on the left side of the runway. It was exciting to see the now retired aircraft. We took our baggage and got out of the arrival terminal. 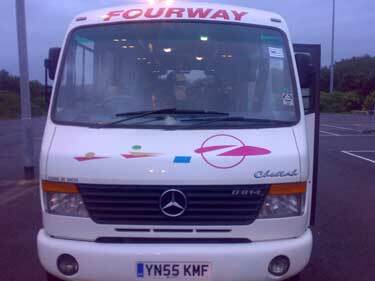 four of my fellow students lost their baggage and after settling the tedious claim procedures, we got on a hired van and left for Leeds. It was pretty dark by the time we reached Leeds. Dr. Desmond C. McLernon, a senior lecturer at the University of Leeds, welcomed us and guided us to Lydon Hall. The buildings were made of red bricks, which seems to be a traditional English touch, and were a mix of old and new architecture. We were given individual rooms and had shared toilets, bathrooms and laundry. Dr. McLernon ordered a couple of pizzas and coke for us and after somewhat settling in, we ate our dinner and went to sleep. I was hungry enough that the simple margherita pizza seemed delicious. I didn't even had time for prayers since we were supposed to wake up at 0700 the next day. which course you are enrolled in? The university of Leeds is an absolutely brilliant place. I knew when I came to the open day that it was the place for me and I would definitely recommend sixth formers to go with their gut instincts.